As a not-for-profit 501c3, revive depends on the contributions from individuals and businesses. 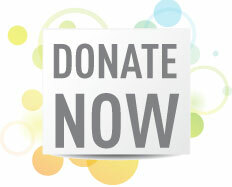 Please consider making a tax deductible financial contribution to revive and you can be a part of making a difference. You can give to the general project fund or specify a specific area of your choice. Thank you for your generous support. Click here to donate. Our goal is to honor a shared 50% of resources between local and international projects. This does not pertain to grants or special funding earmarked for a specific items/projects. provided 36 jackets and more than 100 pairs of socks for children in need. “Thank you so much for making the "Get Warm" for the winter event a success! All jackets and socks were delivered to our students on Friday. We had both kids and parents crying expressing their appreciation. I want to truly thank you for your kindness.” Sincerely, A.P. ​call 623-853-6347 or email Marty.